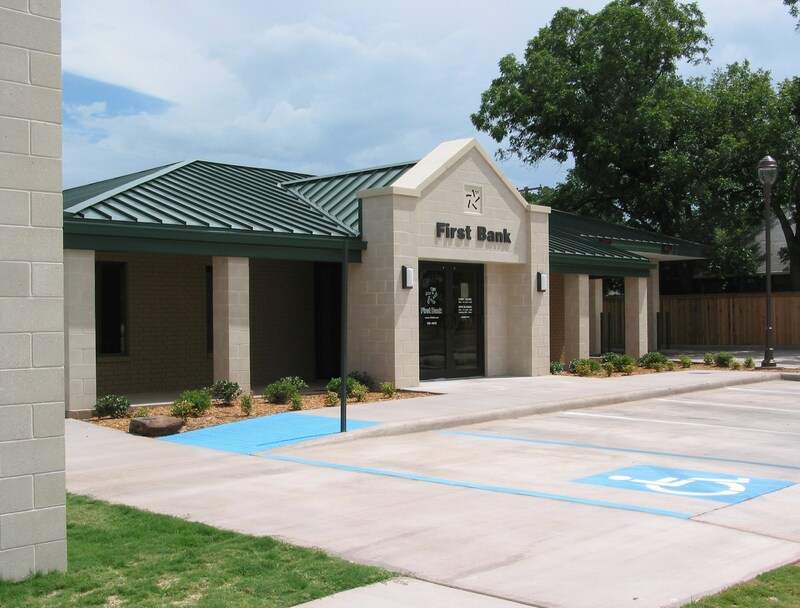 The task of taking a small dated residential office building and providing a new corporate image to meet the standards established by First Bank is accomplished in this design. 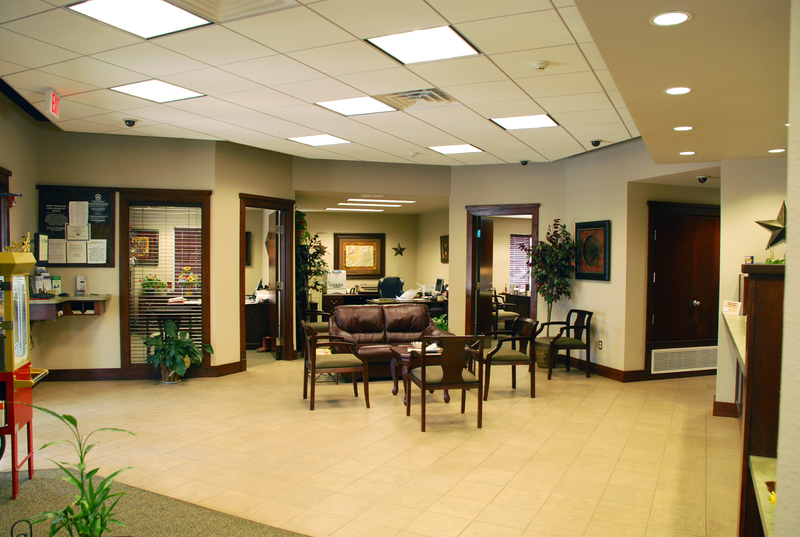 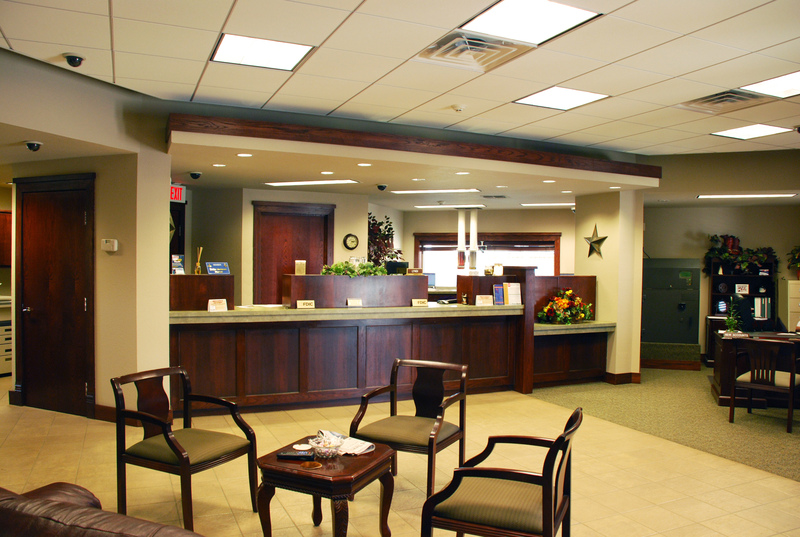 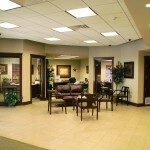 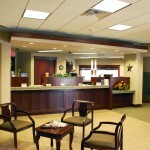 The project scope includes open lobby and teller areas, loan offices and support areas. 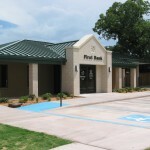 Complete new exterior façade, new parking, new drive-up ATM, and new drive-thru facility are provided in the solution.